Secluded location yet right in the Village down at banks of Canadaway Creek! 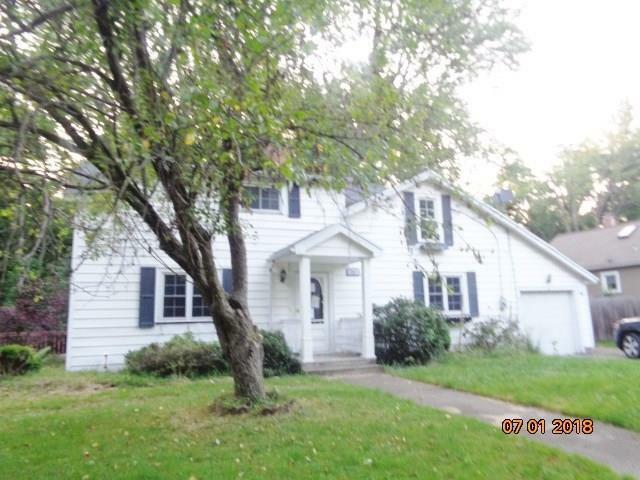 3 bedroom 2 bath home with good sized yard, full basement;attached garage. The living room & the master bedroom upstairs both have fireplaces! Vinyl siding. Downstairs has a full bath, kitchen, dining room, living room, sunroom and laundry room. Upstairs has 3 bedrooms & another full bath. Walk along the banks of the creek from this property! Investors/ renovators this is the perfect deal for you!! Property line ends at back of house, rear yard belongs to homeowner on Forest Place! What is mowed in back is not ours. Backyard not part of this property.Offers need to be cash only due to large amount of repairs rehabbing and renovations needed. Home does not qualify to be mortgaged and is uninhabitable in it's current condition.